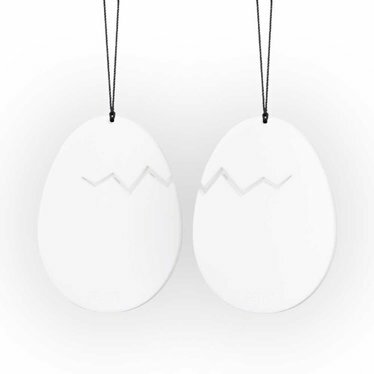 An original and simple egg decoration for spring and Easter. 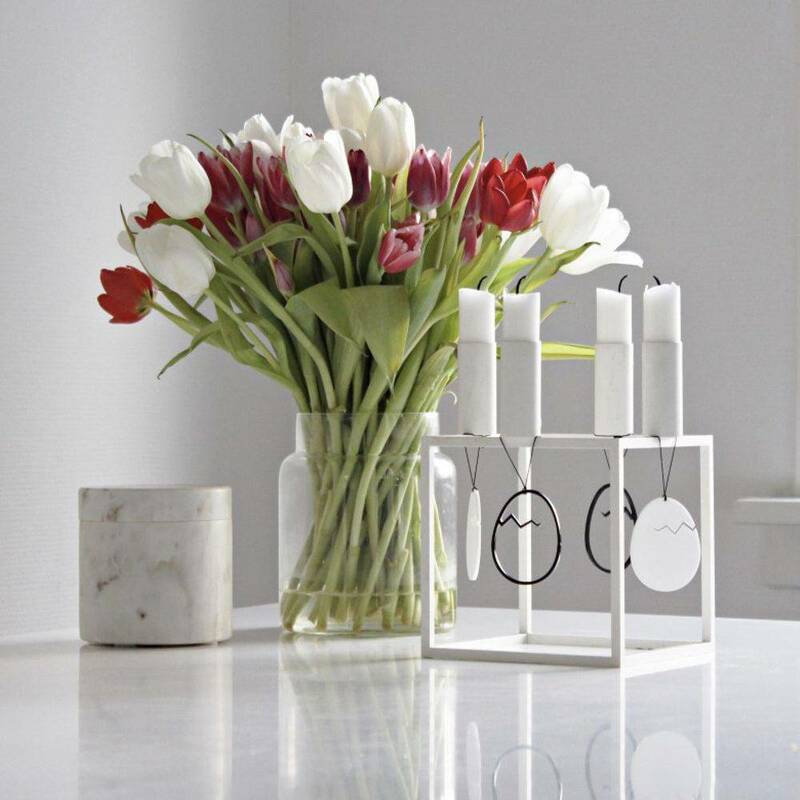 Hang them in a blossom branch or on your favorite candleholder. Comes in little black box with 2 hangers. Also a perfect Easter gift! 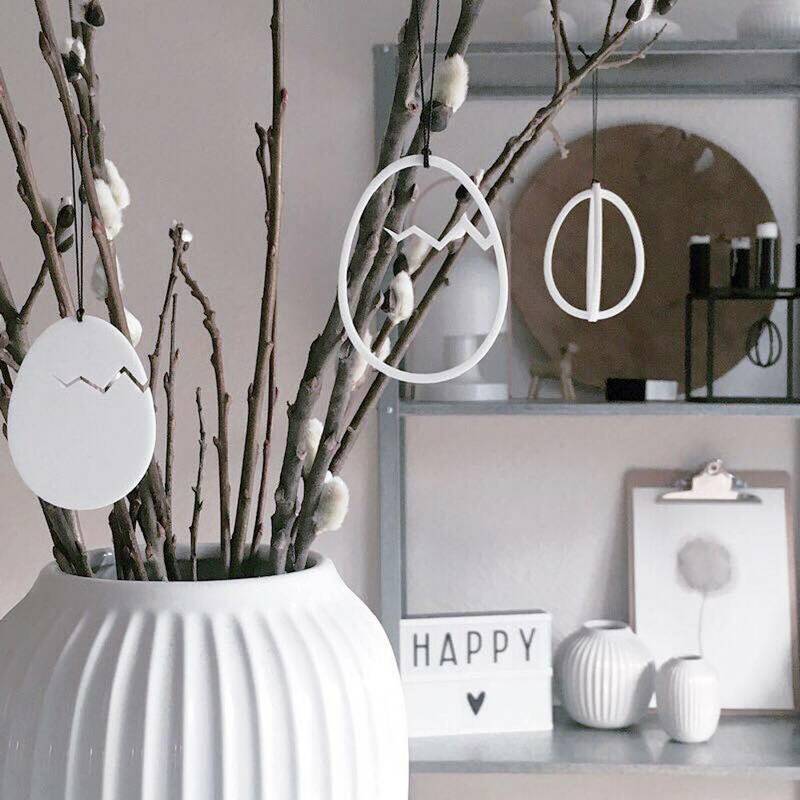 The party hangers by the Danish company Felius Design are a hit among Scandinavian Instagrammers. 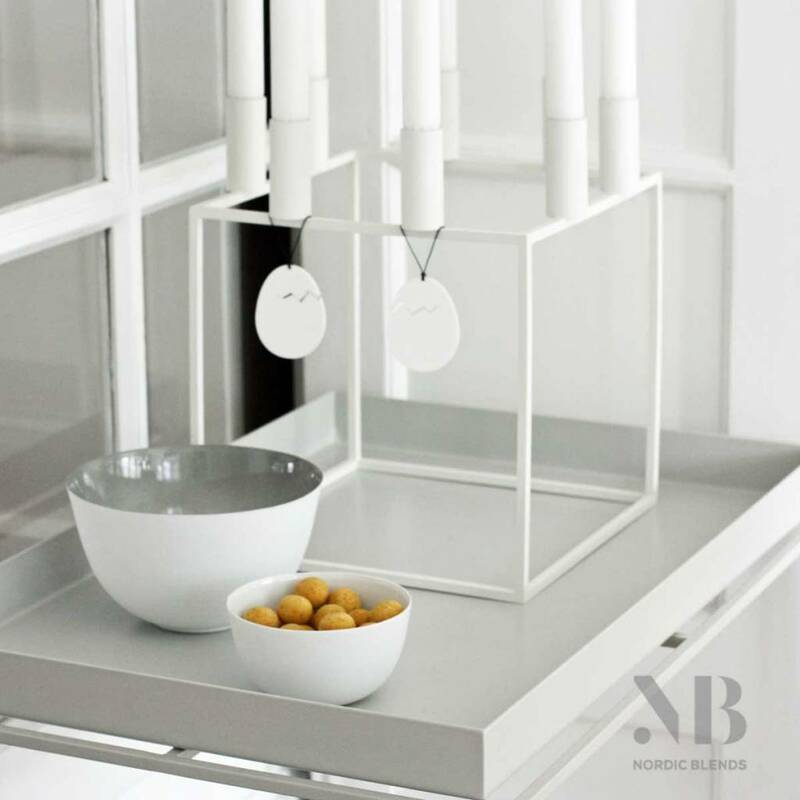 They are designed with a minimalist starting point and therefore fit perfectly into a contemporary Scandinavian interior. Easter decorations are popular in Scandinavia. Scandinavians love these holidays where people are together, celebrating new life and having a nice dinner. 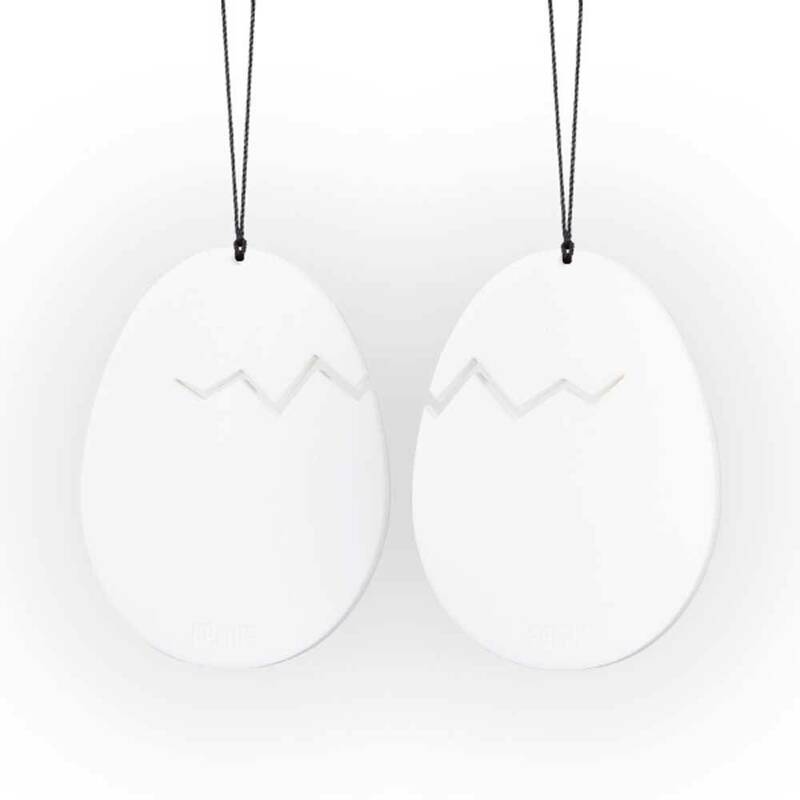 Put these white pendants Hatched Easter Egg hangers on a beautiful blossom branch or on your favorite candleholder, for example the Kubus by By Lassen. The eggs are made of good quality hard plastic and are intended to be reused every year. They come in a nice little black box. Do you want to see more examples? Then look on Instagram for photos with #feliusdesign.